Departure from IXB (Bagdogra Airport) at 1040 hrs and arrival at 1340 hrs at Bangalore and departure from BLR (Bangalore Airport) at 1410 hrs and arrival at 1710 hrs at Bagdogra. This will strengthen the connectivity of North Bengal to Southern India and will also help in promoting Tourism business for the state of West Bengal by bringing more tourist to explore our beautiful Darjeeling and Dooars. 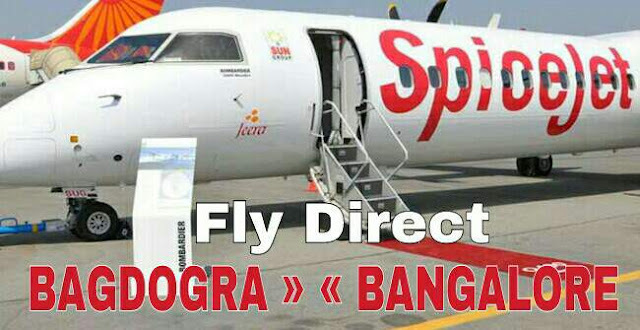 We wish SpiceJet all the best for the success of their New flights out of Bagdogra.